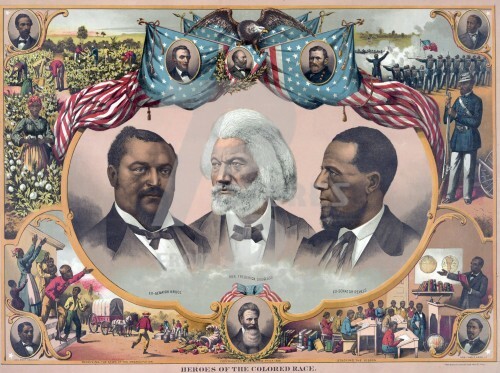 Douglass was essentially militant; he was a fighter from ‘way back, from the hour when he conceived the notion that if the slave would always fight the man who attempted to whip him, there would be no whipping, and he did fight his master upon this theory, and beat him; his war with slavery was to the death. Yet he laid himself open to the blame of certain abolitionists because he would not go all lengths with them, and he refused to take part in the attempt of John Brown, whom he loved with his whole heart. He kept amidst the tumult of his emotion the judicial mind, and he did not lose his head in the stormy career of the agitator. While many will celebrate Valentine’s Day on Friday, perhaps by getting married, let’s not forget that it’s also the birthday of Frederick Douglass—the legendary Civil War-era statesman and social reformer. To mark the occasion, Del. Eleanor Holmes Norton (D-D.C.) introduced a bill yesterday calling for the establishment of a Bicentennial Commission to find ways the federal government can honor his life during the 200th anniversary of his birth in 2018. The commission would explore different ways to do this, including the “issuance of a Frederick Douglass bicentennial postage stamp, the convening of a joint session of Congress for ceremonies and activities relating to Frederick Douglass, a rededication of the Frederick Douglass National Historic Site, and the acquisition and preservation of artifacts associated with Frederick Douglass,” Norton said in her statement for the Congressional Record. “Douglass dedicated his life to achieving justice for all Americans,” Norton also said. “He lived in the District of Columbia for 23 of his 57 years as a free man and was deeply committed to obtaining equal congressional voting and self-government rights for District of Columbia residents.” Douglass’ Anacostia home, Cedar Hill, is a National Historic Site, and a statue of Douglass from D.C. was finally moved to the U.S. Capitol this summer. Contact the author of this article or email tips@dcist.com with further questions, comments or tips. 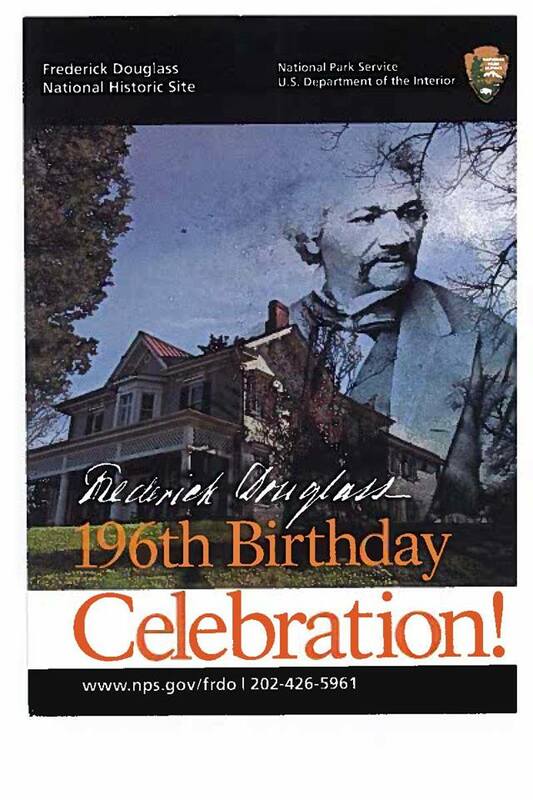 The Frederick Douglass National Historic Site will be observing Frederick Douglass’s 196th birthday on Saturday, February 8. Our site and other places around Anacostia will host special events throughout the day. Special events focus on Frederick Douglass’s lighthearted side, exploring how he and other Washingtonians enjoyed their leisure time during the Victorian Era. 10:00 am – Opening ceremony, live music, public speaking performances by winners of the 2013 Frederick Douglass Oratorical Contest, keynote address by Ray Langston from the Frederick Douglass Museum and Cultural Center in Highland Beach, Maryland. Location: Anacostia Playhouse, 2020 Shannon Place SE. 1:00 pm – Historical walking tour of Frederick Douglass’s Anacostia. 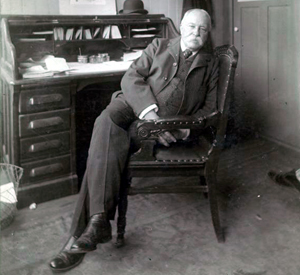 Led by John Muller, author of Frederick Douglass in Washington, D.C.: The Lion of Anacostia. Limit 25 participants; tickets available on a first-come, first-served basis. Location: Frederick Douglass National Historic Site, 1411 W Street SE. 1:00 pm – Lecture by Tony Thomas about African-American baseball in the District of Columbia. 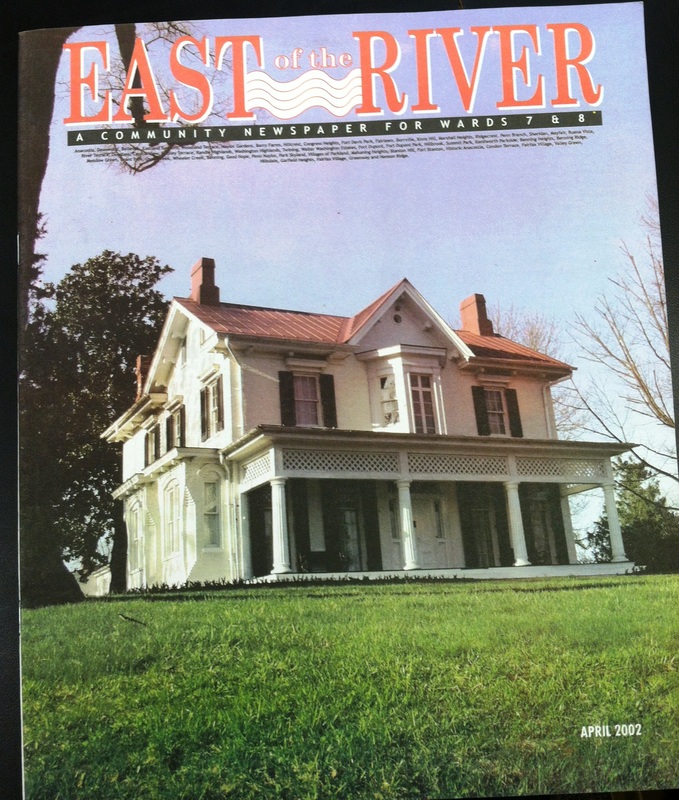 Location: Smithsonian’s Anacostia Community Museum, 1901 Fort Place SE. 1:00 pm – Viewing of 20-minute film To Build Strong Children. A descendant of Frederick Douglass and schoolchildren in the Bronx discuss modern-day human trafficking. Location: Anacostia Arts Center, 1231 Good Hope Road SE. 1:00 – 4:00 pm – Play board games, such as chess and checkers, like Frederick Douglass. Location: Uniontown Bar and Grill, 2200 Martin Luther King Jr Avenue. 1:30 pm – Viewing of 1-hour and 40-minute film Fly by Light. A group of DC teenagers participate in a peace education program by traveling to West Virginia where they spend time in nature and confront past cycles of abuse, violence, and neglect. Location: Anacostia Arts Center, 1231 Good Hope Road SE. 2:00 pm – United States Park Police will lead a short work-out session and help develop fitness plans. Dress in gym clothes. Location: Anacostia Neighborhood Library, 1800 Good Hope Road SE. 2:30 pm – Bright Star Theater presents a 50-minute play about the life of Frederick Douglass. Location: Anacostia Playhouse, 2020 Shannon Place SE. 3:00 pm – Historical dancing troupe performs Victorian-era steps. Feel free to watch or, better yet, join the fun and try out a couple steps! Location: Anacostia Arts Center, 1231 Good Hope Road SE. 3:00 pm – John Muller, author of Frederick Douglass in Washington, D.C., will read from his book and sign copies. Location: Frederick Douglass National Historic Site, 1411 W Street SE. 4:00 pm – Bright Star Theater presents a 50-minute play about the life of Frederick Douglass. Location: Anacostia Playhouse, 2020 Shannon Place SE. 4:00 – 7:00 pm – Evening reception with live jazz music by The Bitter Dose Combo, mingling, board games, and cash bar. Location: Anacostia Arts Center, 1231 Good Hope Road SE.